After completing the eleven successful golden years, the Indian Premier League (IPL) is on its path of 12th successive season. 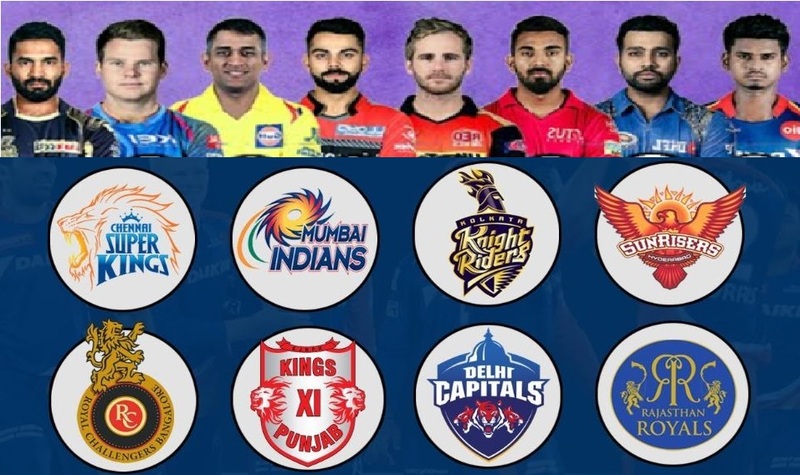 The 12th season is witnessing new talented youngster cricket players’ entries in the eight teams, also retaining the earlier players, a mix of cheerleaders (boys and girls), and new additions of IPL enthusiastic fans at the stadiums. IPL has turned out to be the most popular home league across the world. All the IPL fans and lovers are finishing their work soon, to watch the IPL matches, be it at home or big screens or at stadiums. 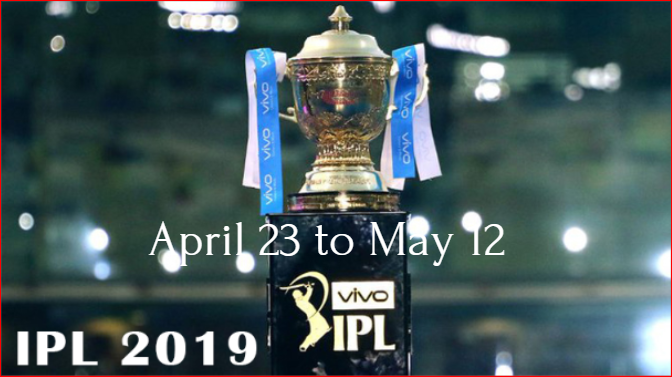 This time Vivo is sponsoring IPL Season 12 with eight teams participating in 60 matches: Chennai Super Kings (CSK), Sunrisers Hyderabad (SRH), Mumbai Indians (MI), Delhi Capitals (DC), Kings XI Punjab (KXIP), Kolkata Knight Riders (KKR), Rajasthan Royals, and Royal Challengers Bangalore (RCB). In case election comes in the way, then BCCI might shift the rest of the IPL matches to South Africa or UAE. IPL gives a great opportunity to the Indian cricket youngsters to exhibit their excellent cricketing performances that would boost their career in the upcoming tournaments. 1# Chennai Super Kings (CSK): MS Dhoni [C], Suresh Raina, Deepak Chahar, KM Asif, Karn Sharma, Dhruv Shorey, Faf du Plessis, M Vijay, Ravindra Jadeja, Sam Billings, Mitchell Santner, David Willey, Dwayne Bravo, Shane Watson, Lungi Ngidi, Imran Tahir, Kedar Jadhav, Ambati Rayudu, Harbhajan Singh, N Jagadeesan, Shardul Thakur, Monu Kumar, Chaitanya Bishnoi, Mohit Sharma, Ruturaj Gaikwad. 2# Royal Challengers Bangalore (RCB): Virat Kohli [C], AB de Villiers, Parthiv Patel, Yuzvendra Chahal, Tim Southee, Umesh Yadav, Navdeep Saini, Kulwant Khejroliya, Washington Sundar, Pawan Negi, Nathan Coulter-Nile, Moeen Ali, Mohammed Siraj, Colin de Grandhomme, Shimron Hetmyer, Devdutt Padikkal, Shivam Dube, Heinrich Klassen, Gurkeerat Singh, Himmat Singh, Prayas Ray Barman. 3# Kolkata Knight Riders (KKR): Retained: Dinesh Karthik, Robin Uthappa, Chris Lynn, Andre Russell, Sunil Narine, Shubman Gill, Piyush Chawla, Kuldeep Yadav, Prasidh Krishna, Shivam Mavi, Nitish Rana, Rinku Singh, Kamlesh Nagarkoti, Carlos Brathwaite, Lockie Ferguson, Anrich Nortje, Nikhil Naik, Harry Gurney, Yarra Prithviraj, Joe Denly, Shrikant Mundhe. 4# Sun Risers Hyderabad (SRH): Basil Thampi, Bhuvneshwar Kumar, Deepak Hooda, Manish Pandey, T Natarajan, Ricky Bhui, Sandeep Sharma, Siddarth Kaul, Shreevats Goswami (wk), Khaleel Ahmed, Yusuf Pathan, Billy Stanlake, David Warner, Kane Williamson, Rashid Khan, Mohammad Nabi, Shakib Al Hasan, Jonny Bairstow, Wriddhiman Saha, Martin Guptill, Jonny Bairstow. 5# Mumbai Indians (MI): Rohit Sharma (C), Hardik Pandya, Jasprit Bumrah, Krunal Pandya, Ishan Kishan, Suryakumar Yadav, Mayank Markande, Rahul Chahar, Anukul Roy, Siddhesh Lad, Aditya Tare, Quinton de Kock, Evin Lewis, Kieron Pollard, Ben Cutting, Mitchell McClenaghan, Adam Milne, Jason Behrendorff, Lasith Malinga, Anmolpreet Singh, Barinder Sran, Pankaj Jaiswal, Rasikh Salam, Yuvraj Singh. 6# Delhi Capitals (DC): Retained: Players Retained: Shreyas Iyer, Rishabh Pant, Prithvi Shaw, Amit Mishra, Avesh Khan, Harshal Patel, Rahul Tewatia, Jayant Yadav, Manjot Kalra, Colin Munro, Chris Morris, Kagiso Rabada, Sandeep Lamichhane, Trent Boult, Hanuma Vihari, Axar Patel, Ishant Sharma, Ankush Bains, Nathu Singh, Colin Ingram, Sherfane Rutherford, Keemo Paul, Jalaj Saxena, Bandaru Ayyappa. 7# Rajasthan Royals (RR): Ajinkya Rahane, Krishnappa Gowtham, Sanju Samson, Shreyas Gopal, Aryaman Birla, S. Midhun, Prashant Chopra, Stuart Binny, Rahul Tripathi, Ben Stokes, Steve Smith, Jos Buttler, Jofra Archer, Ish Sodhi, Dhawal Kulkarni, Mahipal Lomror, Jaydev Unadkat, Varun Aaron, Oshane Thomas, Shashank Singh, Liam Livinstone, Shubham Rajane, Manan Vohra, Ashton Turner, Riyan Parag. 8# Kings XI Punjab (KXIP): KL Rahul, Chris Gayle, Andrew Tye, Mayank Agarwal, Ankit Rajpoot, Mujeeb Ur Rahman, Karun Nair, David Miller and Ravichandran Ashwin, Moises Henriques, Nicholas Pooran, Varun Chakaravarthy, Sam Curran, Mohammad Shami, Sarfaraz Khan, Hardus Viljoen, Arshdeep Singh, Darshan Nalkande, Prabhsimran Singh, Agnivesh Ayachi, Harpreet Brar, and Murugan Ashwin.